The Emirates-flydubai codeshare partnership will be expanded in 2019 with new destinations, the carriers have announced. 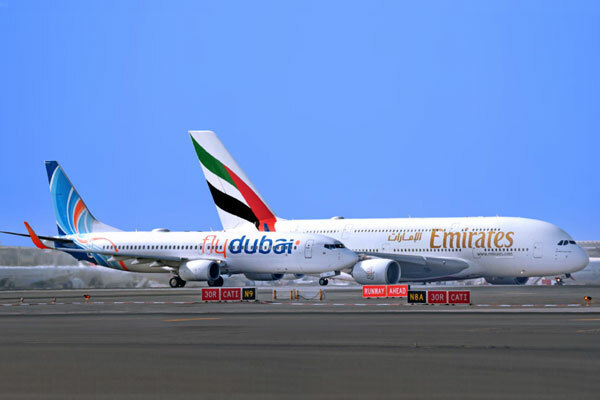 The Dubai-based carriers, which joined forces in October 2017 with just 29 codeshare cities, have jointly carried 3.29 million customers on codeshare flights across 84 destinations in 2018, Emirates said in a press release. "During 2019 the network of codeshare flights will be further expanded, with the launch of new flydubai destinations Naples and Budapest, as well as several others that will be announced in due course," the statement said. "Flydubai flights to Chittagong will also restart from January 20, while flights to Kozhikode, Kerala, will start from February 1," it said. Since December 2 last year, 11 flydubai flights started to operate from Terminal 3 at Dubai International Airport to help improve the connections between the two carriers. This year, more flights will be departing from Terminal 3, further improving the connection experience for customers. "The partnership between Emirates and flydubai has really taken off and we are very pleased with what has been achieved. It has not only delivered tangible benefits to our collective customers, but also to both airlines in terms of the synergies that come with working closely together, for example reducing route overlaps and the realignment of schedules to common destinations,” said Sheikh Ahmed bin Saeed Al Maktoum, chairman and chief executive of Emirates Group and chairman of flydubai.